M88 series power supply are high performance single-output programmable DC power supply with communication interface, possessing the character of fast rise speed (The rise time of M8811 power supply can be less than 10ms and that of M8851 can be less than 20ms). The combination of bench-top and system features in these power supply provides versatile solutions for your design and test requirements. The M88 series can not only be programmed through the keyboard on the panel, but also be functioned as voltmeter and milliohm meter, which will bring great convenience to the users. 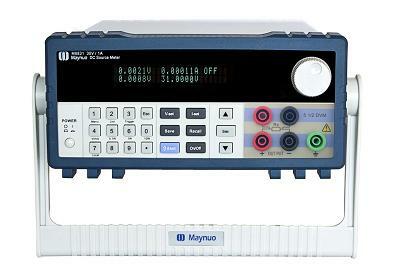 As a regeneration product of ordinary programmable power supply, M88 series power supply are more cost-effective. Laboratroy testing, power electronics production line testing and other automatic testing systems, etc. Functioning as voltmeter and milliohmmeter.